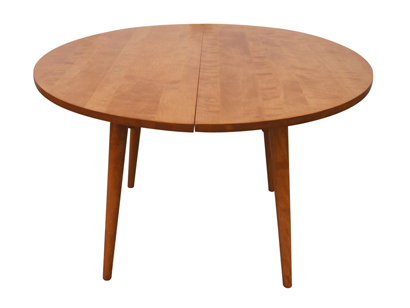 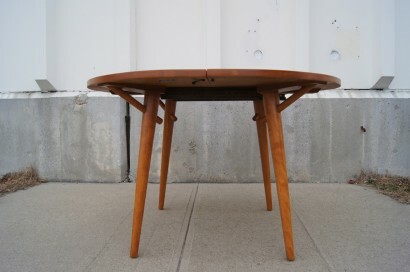 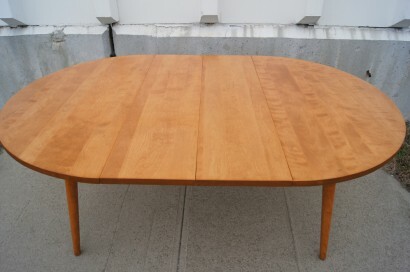 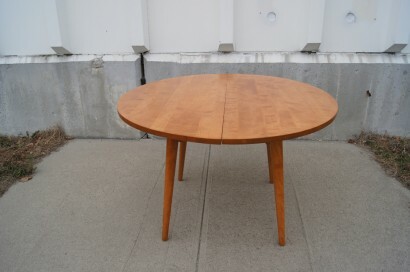 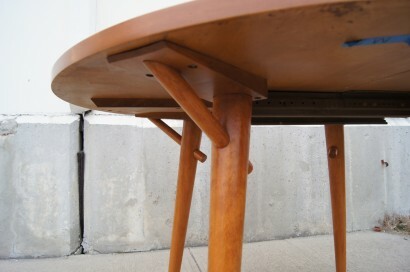 This round dining table, by Russel Wright for Conant Ball, is made of solid Northern Rock maple. 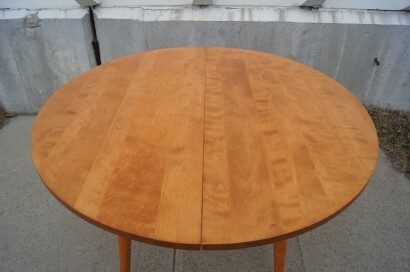 It includes two leaves that each measure 12″. 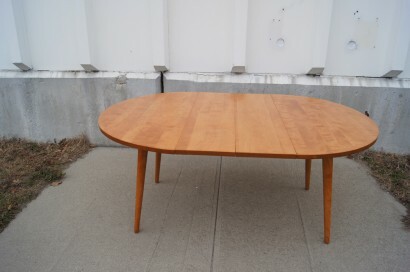 The table is 72″ long with both leaves in use.